Verses in this chapter used in these posts. 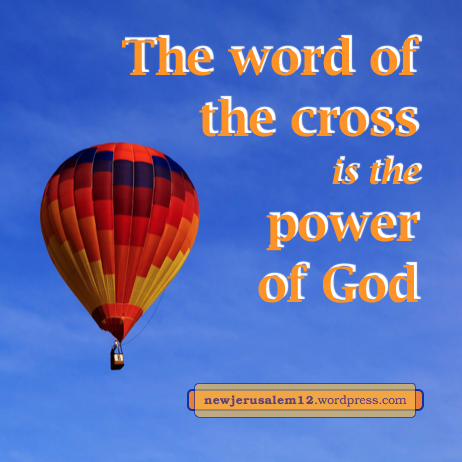 New Jerusalem is holy because God is holy (Lev. 11:44 quoted in 1 Peter 1:16) and the city is saturated with God’s holiness. This God, who is Triune, operates on us and in us to make us holy to match New Jerusalem. To match New Jerusalem’s purity and transparency, it is not enough to be holy in position. 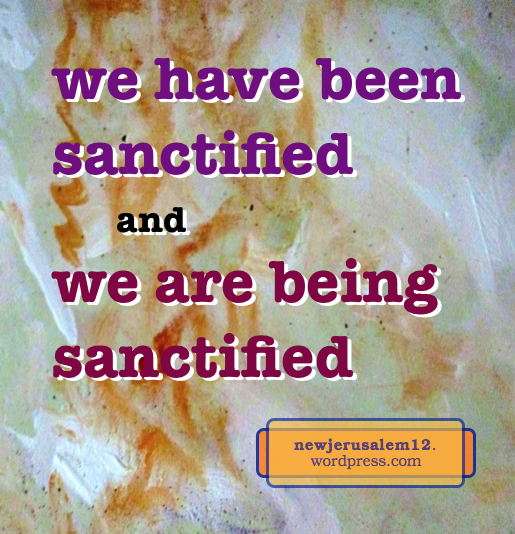 After our initial, positional sanctification we also need to be saturated with God’s holiness. The goal of this washing is that Christ, at His second coming, “might present the church to Himself glorious…holy and without blemish” (5:27). This holy and glorious condition, without any spot or wrinkle or blemish matches the holy city, New Jerusalem. * The English words holy/holiness and sanctify/sanctification are translations of closely related New Testament Greek words. They seem very different because holy came into English from an Anglo-Saxon root and sanctification came from a Latin root. The church is the household of the living God and the Body of Christ. Both of these aspects of the church present to us the reality of New Jerusalem. The city is God’s eternal home in His millions of people, and these people are built together in His life just as the Body of Christ is one living entity. Continuing to look at the nature of the church as a forerunner of New Jerusalem, we read, “the church of the Thessalonians in God the Father and the Lord Jesus Christ” (1 Thes. 1:1, 2 Thes. 1:1). The church is “the church of God” (multiple verses) and the church is also “of human beings.” However, these humans are not natural, in Adam, but regenerated, in God the Father and the Lord Jesus Christ. The Thessalonians, and all believers, are in God and the Lord by God’s action. “Of Him [God] you are in Christ Jesus” (1 Cor. 1:29-30). This is what the Lord promised earlier, in John 14. “In that day you will know that I am in My Father, and you in Me, and I in you” (v. 20). “That day” is the day in which He became our life in resurrection (v. 19). 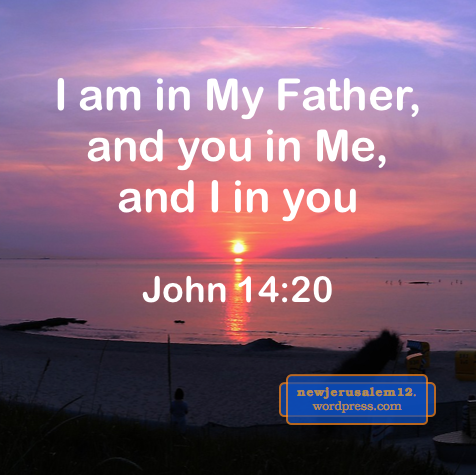 John 14:20 presents a coinherence: we are in God by being in Christ and God in Christ is in us. The church is both “of God” (as in Acts 20:28) and “of the believers” (as in 1 Thes. 1:1). Likewise New Jerusalem is composed of the Triune God in all His people and all His people in the Triune God. New Jerusalem, like the church, is much higher, much more mysterious, much more marvelous than a physical city; it is a composition of the Triune God and His people living in oneness.